Not only reduce levels but reduce the noise! Every disturbing and / or harmful sound is noise. 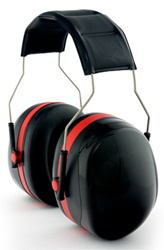 Noise protection is effective when the disorder and / or harmful sound is eliminated. To just lower the level is not enough. In the course of licensing parking lots, garages and underground garages by the public authorities, a report is required which must be created in accordance with the relevant policies and regulations. The report focuses on the effects for the most exposed residents in terms of noise and pollution and involves the prediction of noise and pollutant emissions, within and out of the garage. Our engineering office has the appropriate software, has years of experience in this sector and will gladly assist you. The limits are for hand-arm vibrations 5m / s or whole-body vibration 1.15 m / s. In principle, information regarding noise and vibration load is provided in the manufacturer information. However, in reality, they often do not picture the real situation in the company. Therefore, for legal reasons, it is advisable to check values and to take appropriate countermeasures in the event of any violation. Our company has calibrated measuring equipment and trained personnel to carry out VOLV measurements. For planning of new, or the modernization or expansion of existing industrial plants, it may be necessary, to create an environmental report for the Department of Environmental Protection. For this purpose, the sound-emission data of the facility is checked and their sound power level is determined by measurement. These characteristics form the basis for emission side sound immission calculations and serve as a basis for the preparation of corresponding noise grid maps. We carry out all necessary measurements and calculations, work out solutions to meet the required limits and create the environmental assessment in cooperation with the authorities. Unfortunately it happens again and again that construction defects occur in the construction of residential houses. Improperly laid parquet / laminate flooring or inadequate or nonexistent footfall and airborne sound insulation may result in sound bridges, which subsequently lead to increased noise pollution. If limits defined in the regulations are not met, refurbishment work or financial compensations, such as a reduction in the purchase price, may be invoked. Our company has trained personnel (generally sworn and court certified expert), which is specialized in the field 20.30 (Acoustics) and gladly supports you in your individual case. In austria, all premises (particularly restaurants, bars, manufacturing companies, sports venues, etc.) require an official authorization. This operating licence creates legal certainty in relation to authorities and neighbors. The owner is responsible to review the legal and prescribed provisions in communication every 5 years. We create the necessary environmental assessments for you and transmit them, if desired, directly to the authorities.